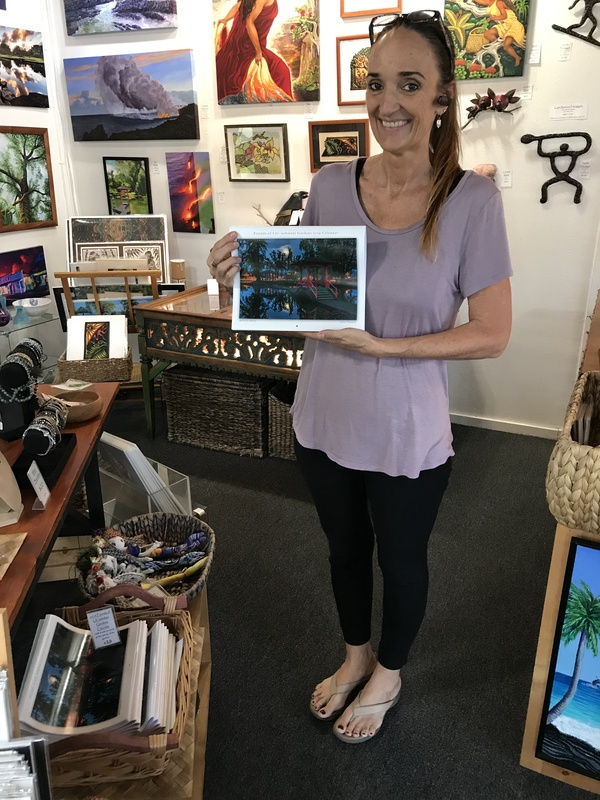 Banyan Gallery has a few 2019 calendars left. Funds raised support Friends of Lili`uokalani Gardens. 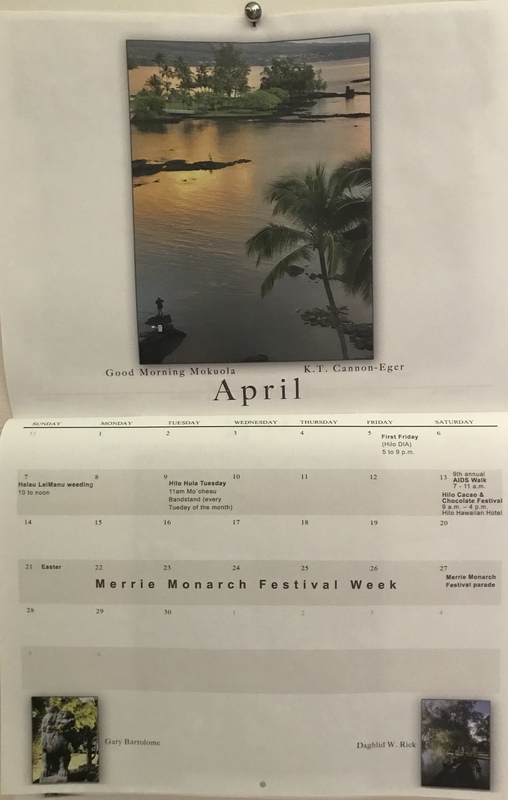 Last week, turning the page on the 2019 calendar, I was met with delight at the sight of one of my photos selected by photo contest judge Mary Goodrich. What a glorious morning that was. 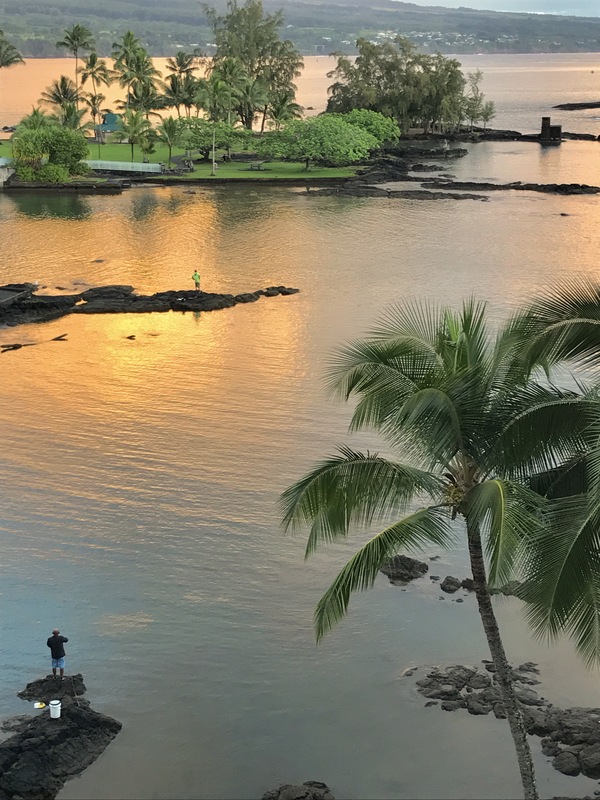 I was on the sixth floor of the Hilo Hawaiian Hotel and got up early to prepare for a garden workshop. Banyan Gallery carries the few remaining calendars and now has a limited edition Yoshirt with this photograph. 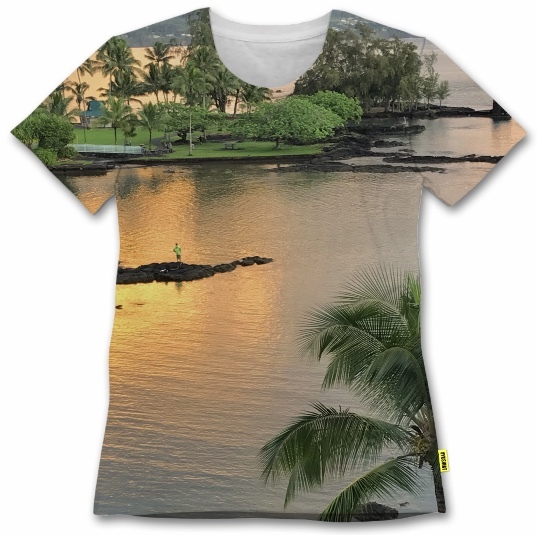 Proceeds benefit Friends of Lili`uokalani Gardens. The calendar was prepared late last summer. We tried to include as many dates of events in Hilo as we could find. Some dates have changed since the calendar was printed. Notable is the 8th annual AIDS Walk listed on the calendar as Saturday, April 13. The actual date of this fundraiser is Saturday, May 4, in Lili`uokalani Gardens. The registration table opens at 8 a.m. Annual fundraising walk where all the money raised stays on this island.